Wheel nut - Miata Turbo Forum - Boost cars, acquire cats. A bit of googling suggested throwing on a bunch of big washers and tightening down a lug nut to wheel torque specs to seat them better. Does this seem a reasonable course of action? This seems appealing from a convenience point of view rather than pulling them out and doing them myself this time (though haven't done this before). Last edited by slug_dub; 03-13-2016 at 12:10 AM. Reason: Sorry hit submit before coming up with a witty title! That's pathetic. Someone actually got paid to do that? How did they install them? Were the hubs pulled away so they could be pressed in, or did they just pull them in with a nut to get them to that point? Also, what will their application be, is the car just a daily driver, or will it see track use? 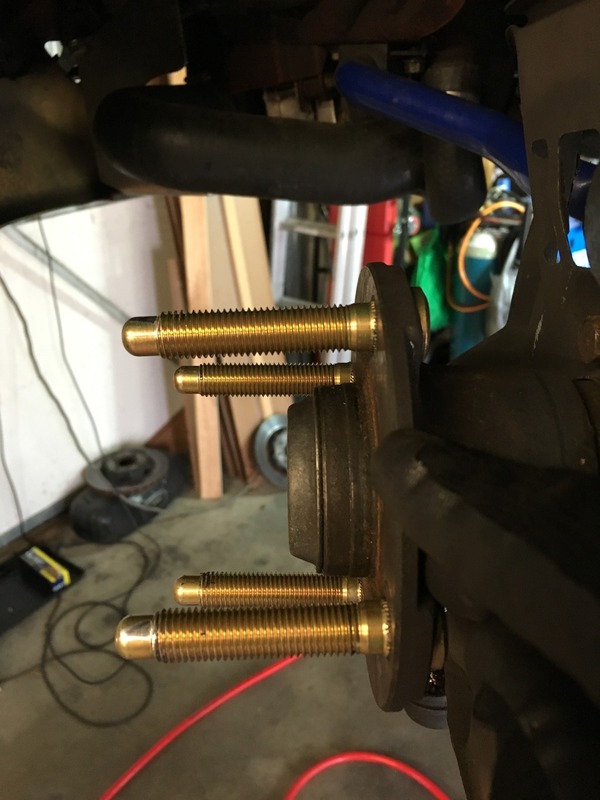 If it were just a driver, I'd go ahead and seat them the rest of the way and hope for the best, but if it's going to see track time, I'd probably pull the hub and press them back out to make sure the splines aren't screwed. Then press them in properly. 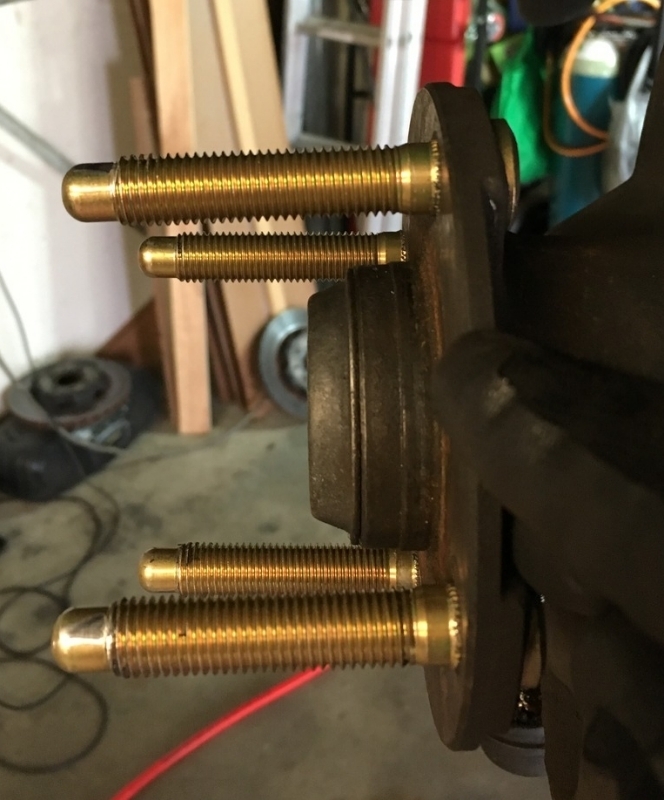 I'd also want to make sure they weren't too big for the bore in the hub. These are things I do not know. Yep this car will see the track... we'll pull it all apart. I wouldn't trust those studs or that hub. I've seen ARP studs with oversized splines that ended up deforming the hub when pressed in. You have no idea how large those were when they were installed. Throw it all away and start over - fresh studs, fresh hubs. Studs were bought specifically and all bits were given to the shop to fit... they aren't some random studs we let the shop decide if that makes any difference. I don't mind pulling it all apart or indeed trashing and starting over... but they aren't my bits. I get to deliver the bad news. Terrible time with a shop - Advice please!